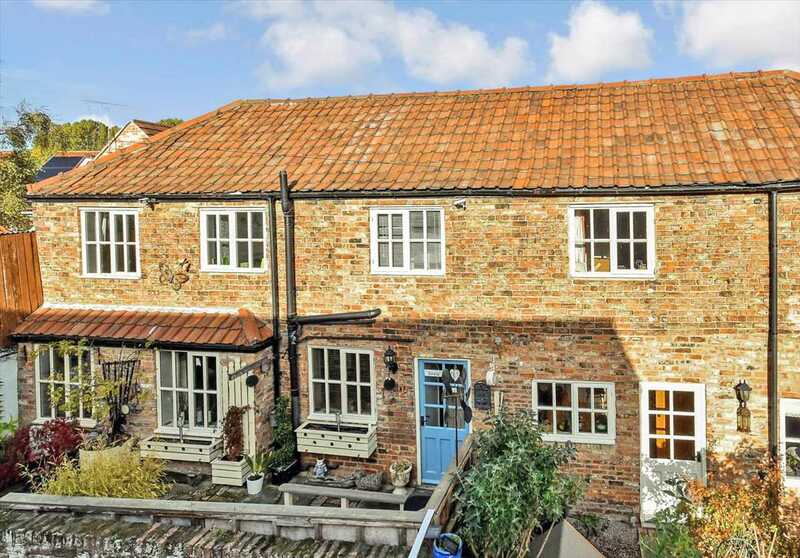 A beautifully presented two bedroom cottage in the heart of this historic market town, original beamed ceilings, low maintenance garden and extra large garage. 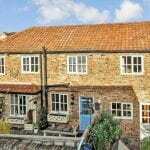 Located within easy reach of the A1 (M), the house is ideal for commuting to Leeds or York, is within a 20-minute drive of the North York Moors National Park and close to good schools. 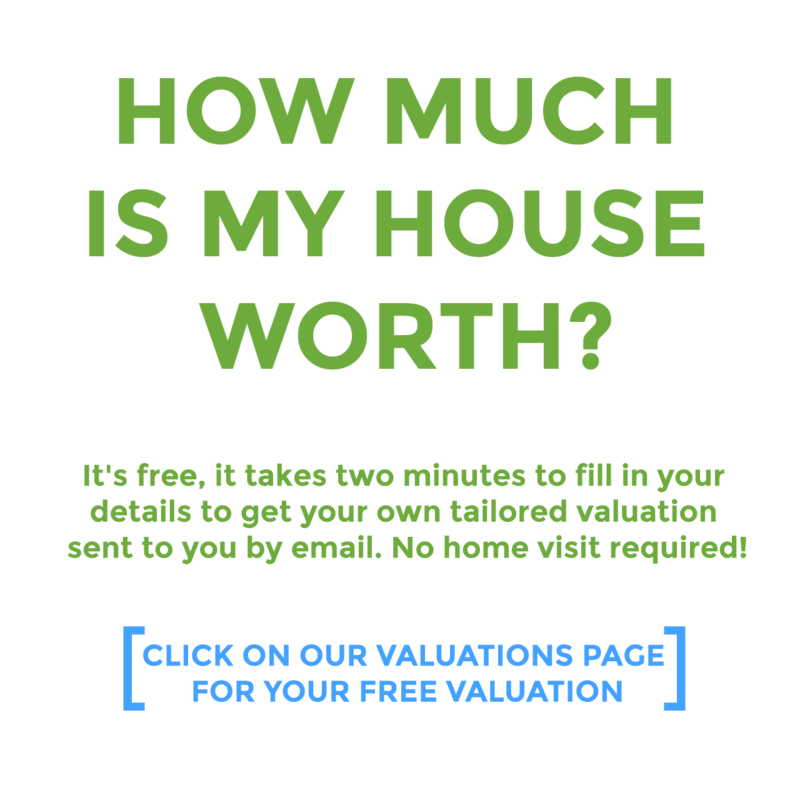 The property is tucked away just off the high street in the centre of Boroughbridge and within a short walk of Boroughbridge High School, rated good at its last Ofsted inspection in 2016. Boroughbridge Primary School  also rated good in 2017  is also close by on York Road. Other local amenities include a Morrisons superstore with ATM and filling station just a few hundred metres from Hunters Row, while shops in the town centre include a post office, hairdressers, cafes, pubs and restaurants, a butchers, a green grocers, a newsagent and a good selection of small independent businesses. The town is served by its own medical centre while, for those who enjoy the great outdoors, there are pleasant walks along the River Ure. The proximity of the A1 (M) means both Leeds city centre and Leeds Bradford International Airport can be reached in approximately 40 minutes by car while York is just over 30 minutes away - from where trains on the East Coast mainline can be in London in just over two hours. The property is separated from the road by a brick wall offering a degree of privacy to the courtyard garden beyond. A flagstone stepping stone path leads past the decking to the front door, with mature shrubs and plants to the left adding a splash of colour. Of sure to be of interest to any buyer is the adjacent garage which offers approximately 470ft2 (44m2) of storage. The front door opens onto a reception hall with under floor heating. A door to the kitchen and living room to the left and stairs to the first floor in front. The open plan kitchen is fitted with a range of wall and base units with complimenting work surface and inset Belfast sink helping to create the cottage feel. A breakfast bar and step up separate the kitchen from the lounge. This spacious living area feature two double glazed windows to the front of the property, beams to the ceiling as well as feature electric fire, modern radiator and under floor heating. The stairs rise to the first floor landing with Velux style roof window and original oak beam. There are two double bedrooms both with double glazed windows to the front aspect, central heating radiator and original beams. The bathroom features a modern white suite with shower over the bath and glass shower screen. Travertine tiles to the floor and walls, and chrome ladder style radiator. Double glazed window to the front aspect and under floor heating. The property enjoys a C rating on its EPC with some loft insulation, double glazing and a programmable electric-fired central heating system with separate thermostat and individual controls on all radiators. Low-energy lighting has also been fitted in the majority of fixed points.